Sandisk was showing off a new SAS drive connector, the NVMe + SAS SFF8639. If you are scratching your head right now and wondering where this came from, you are not alone. The short story is that like the NVMe + SATA connectors released earlier, this one does the same for SAS. It sports a dual port SAS connector plus four lanes of PCIe on the same connector. It looks like the SATA + PCIe equivalent but the key notch is filled in and the SATA pins are blank. 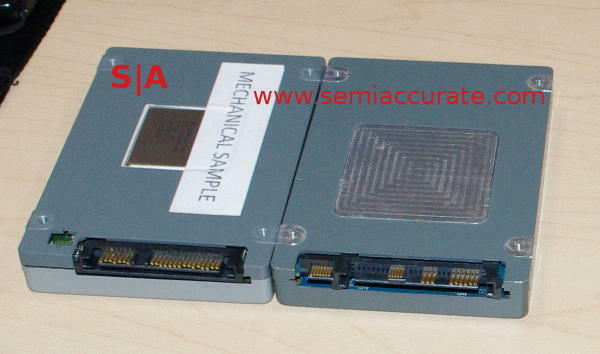 One the left below is a normal SanDisk SAS drive with the SFF8639 equivalent on the right.